Gainward was founded in Taipei, Taiwan all the way back in 1984 and became an NVIDIA partner in 2001; proving they are no stranger to the manufacturing of computer products and more specifically graphics card technology. Following on from the myriad of NVIDIA 10-series launches, Gainward has been on-hand to provide gamers with their take on this fresh lineup of GeForce GTX graphics cards and today we’ll be exploring the delights of their newly released GTX 1060 Phoenix Golden Sample. In the spotlight today is the GTX 1060 Phoenix GS. Gainward’s Golden Sample cards have been the mainstay through many generations and are representative of the brands best offering. The graphics card we’ll be looking at today features a custom design with a dual-cooling fan configuration, as well as a factory overclock taking the GPU to just 7.5% over the reference settings. Will a tame overclock to the GPU and a reluctance of any memory overclock still deliver good results? Let’s find out! 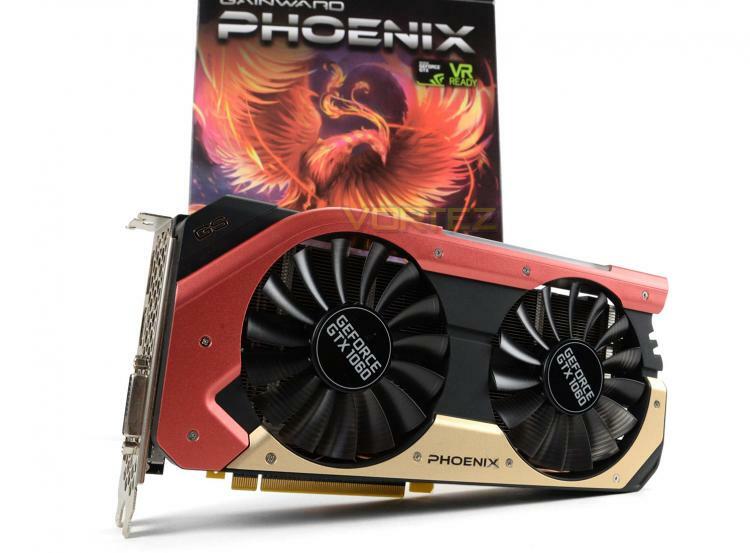 The Golden Sample 1060 is Gainward’s top Phoenix 1060 card. It boasts higher base and boost speeds then previous versions as well as bonus features, and as is standard on Gainward 1060s it is compact with clever game enhancing technologies. Despite this GTX 1060’s speeds being set above prior versions it is still capable of being pushed even further through overclocking. This card is great for users who like to benchmark or simply enjoy seeing every little detail in crisp condition.